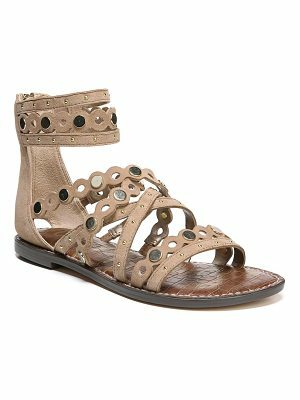 Rebecca Minkoff studded napa leather sandal. 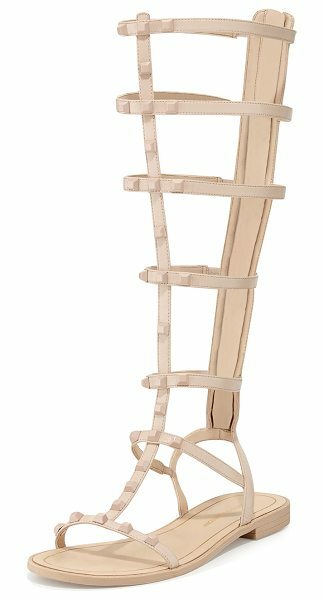 Straps form caged, gladiator style. 0.5" flat stacked heel. Open toe. Back zip eases dress. 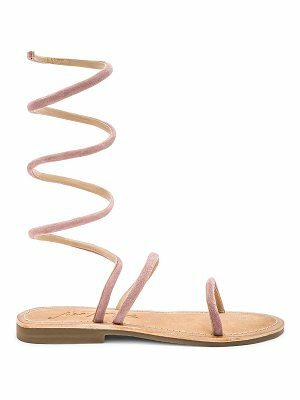 Textured rubber sole for traction. "Giselle" is imported.